As banks in India cut off access to cryptocurrencies, the government is rolling out a big brother financial grid complete with their own digital currency. There was a string of interesting financial reports from India this week that appear to be unrelated at first glance, but upon further inspection, they all seem to be working towards a common goal—an intrusive big brother surveillance state that tracks every single financial transaction for every single resident. In some cities, parents are not allowed to leave hospitals with newborn children until they are signed up. In addition to the vast violation of privacy that this program introduces, it is also highly inefficient, with possibly fatal results. A recent study determined that 20 percent of an entire region was cut off from food rations because their internet connections were not good enough to access the program. Even the article published in The Times this week seems dismissive towards “critics and civil libertarians” who oppose the measure while spending an unusual amount of time touting the “benefits” of such a program. This is the type of dystopian nightmare that the crypto-anarchists and cypherpunks who initially developed the concept of cryptocurrencies were seeking to prevent. 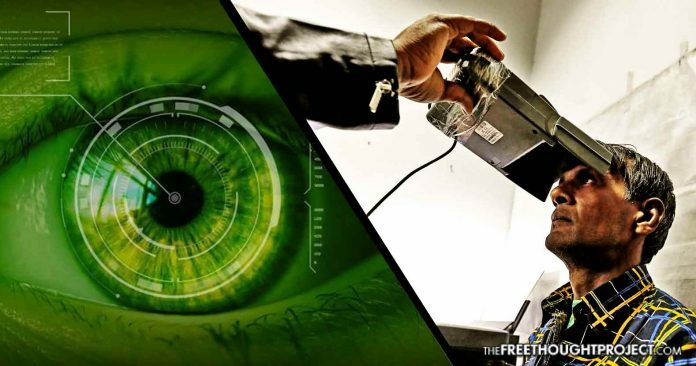 They saw this future coming, they saw governments setting up surveillance grids and making plans to track financial records with biometric data. Knowing that cash and gold might be illegal or confiscated in a society like this, they worked to develop an idea for digital cash, that is secure and untraceable. It is not just the infamous Satoshi that we can credit with this technology, this mysterious entity simply built upon an intellectual blueprint which was laid down by radical tech specialists like Timothy May, just to name one prominent example among many. For this reason, central banks around the world—but especially in India—are growing more hostile towards cryptocurrencies. In a statement released this week, the central bank of India announced that financial institutions in the country would no longer be able to deal with cryptocurrencies, which means that residents will no longer be able to purchase cryptocurrencies or cash out through their banks. Businesses that deal in cryptocurrencies will need to cease their services or face legal penalties. In the very same statement, the central bank of India announced its plan to release their own digital currency, which will be a fiat monopoly currency that is totally traceable, unlike cryptocurrencies. The banks understand that their whole existence is at stake, so they are working to ride the tides as best as they can and steer the innovation of this technology in a direction that suits their needs, which would be a shift away from anonymity and decentralization. If central banks are able to run a monopoly fiat currency on a blockchain, they will have more power and control than ever. It is highly possible, almost guaranteed, that these interests will attempt to use the force of government to make this happen. If used by the people and for the people, blockchain technology could allow us to create financial systems that are resistant to inflation, centralization, and control. But in the banker’s hands, it could create the dystopian nightmare that cryptocurrencies set out to prevent. As with any technology, this is a tool, which could be easily used in our favor or against us. That is why the battle for the blockchain and the race to innovation is so important.